Kit Badger’s KBAT targets were previously only available as a free download. They are still available as a free download but they are also available in a new convenient, pre-printed, tear-off pad format. The target pads each include 50 sheets and fit in most range bags easily. 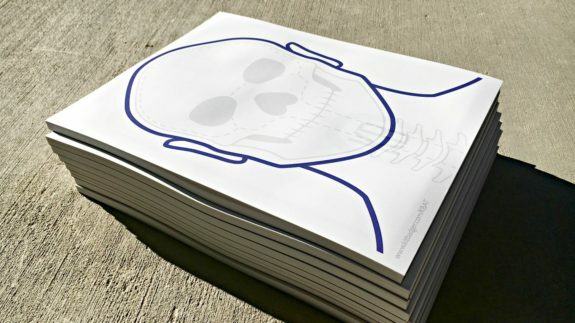 Each sheet is double sided with the head target printed on one side of the 100 pound paper and the thoracic cavity printed on the other. This allows the shooter to use either target individually or to simply use two sheets to use both targets together. The targets may be purchased directly from KitBadger.com or on Amazon.com (affiliate link).